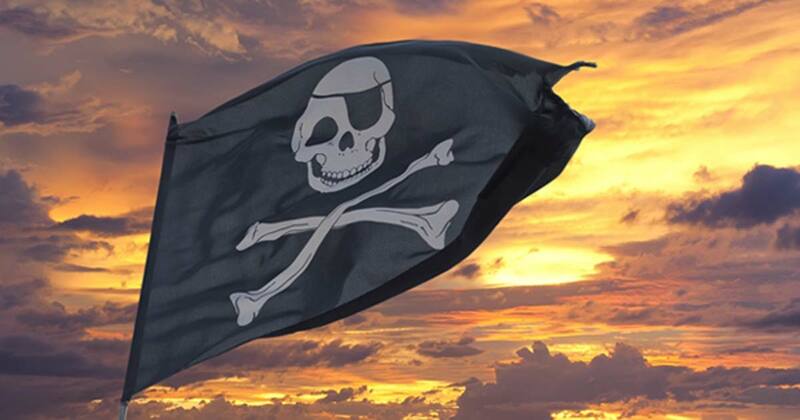 Piracy is a practice that can be dated all the way back to ancient times. In the Mediterranean, pirates were not a major threat as long as they could be kept in check, usually by a strong navy. By the late 2 nd century BC, however, piracy became more rampant, more dangerous, and began to destabilize the Mediterranean, especially in its eastern part. The phenomenon continued into the 1 st century BC, before Pompey ended it. One of the most colorful stories about the pirates (known specifically as the Cilician pirates) was the time the kidnapped the future Dictator of the Roman Republic, Julius Caesar. By the late 2 nd century BC, there was no significant naval power in the Mediterranean. Carthage had fallen to the Romans in 246 BC, whereas the Hellenistic Seleucid Empire and Ptolemaic Kingdom were in decline. Although Rome was the dominant power in the Mediterranean at the time, it did not possess a powerful navy. Moreover, the war between Rome and the Seleucid Empire during the early 2 nd century BC sowed further chaos in the eastern Mediterranean. The lack of naval power in the Mediterranean was not the only factor that exacerbated the problem of piracy in the Mediterranean. The flourishing of piracy during that period was also due to the fact that the Romans relied on them for the procurement of slaves. The pirates often targeted slow trading vessels, especially the grain ships that transported wheat from Egypt to Italy. When such ships were captured, their crew would normally be taken to the Greek island of Delos, which was the center of the international slave trade at the time. The slaves sold to the Roman elite usually ended up working on their plantations in Italy. The pirates in the Mediterranean initially had their strongholds on Crete (in the eastern Mediterranean) and on the Balearic Islands (in the western Mediterranean). Later on, they made western Cilicia their base of operations, hence acquiring the name ‘Cilician pirates’. As mentioned earlier, the pirates would normally capture the crews of ships and sell them into slavery. Rich captives, however, did not suffer such a fate but were held as hostages and a ransom was demanded for their return. 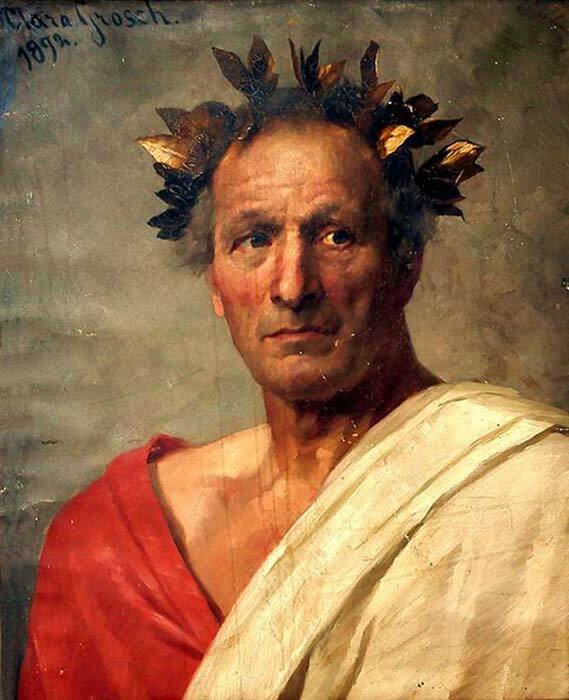 One of the Cilician pirates’ most notable hostages was Julius Caesar . In 75 BC, the future Roman Dictator, who was 25 years at that time, was captured by the Cilician pirates while on his way to Rhodes to study oratory. The pirates demanded a ransom of 20 talents, to which Caesar laughed, saying that they did not know who he was and offered to pay 50 talents. Indeed, Caesar maintained his un-captive-like behavior for the 38 days the pirates held him. For instance, when he wanted to sleep, he would tell them to stop talking and chide them if they failed to appreciate the poems and speeches he wrote. Caesar even threatened, laughingly, on various occasions to have them hanged. The pirates tolerated, even delighted in, Caesar’s boldness attributing it to a sort of “simplicity and boyish mirth”. Eventually, the ransom arrived, and Caesar was set free at Miletus. Immediately, Caesar took command of some ships and set sail from the harbor against the pirates. When he found them, he had them captured and put in a prison in Pergamon. Caesar allowed Marcus Junius, the governor of Asia, to punish the pirates himself as that fell under his jurisdiction. The governor, however, was indecisive and Caesar took matters into his own hands. He had the pirates taken out of prison and crucified. Not long after Caesar’s kidnapping, Rome sent expeditions against the pirates. Publius Servilius Vatia, for instance, was sent against the pirates in Cilicia. Although he was able to defeat them at sea, he was unable to deal the finishing blow, as war had broken out between Rome and Mithridates VI of Pontus. Additionally, the pirates of Crete were attacked by Quintus Caecilius and the island became a Roman province in 67 BC. The end of the Cilician pirates occurred not long after the fall of Crete. As the pirates were threatening the food supply of Rome, Pompey was granted extraordinary powers to fight them. As the pirates had already been defeated by Vatia some years back, Pompey did not have an overly difficult task to accomplish and swiftly defeated them. Unlike Caesar, however, Pompey treated the defeated pirates quite differently. Pompey understood that the pirates, after losing their base in Cilicia, were adrift. Instead of putting them to death, he decided to settle them inland, so that they may serve Rome as farmers. Thus, the Cilician pirates ceased to be a problem for Rome. Top image: Pirate flag. Source: Andrea Izzotti / Adobe.